You have to love a restaurant that used to be the site of a pawn shop in Detroit. 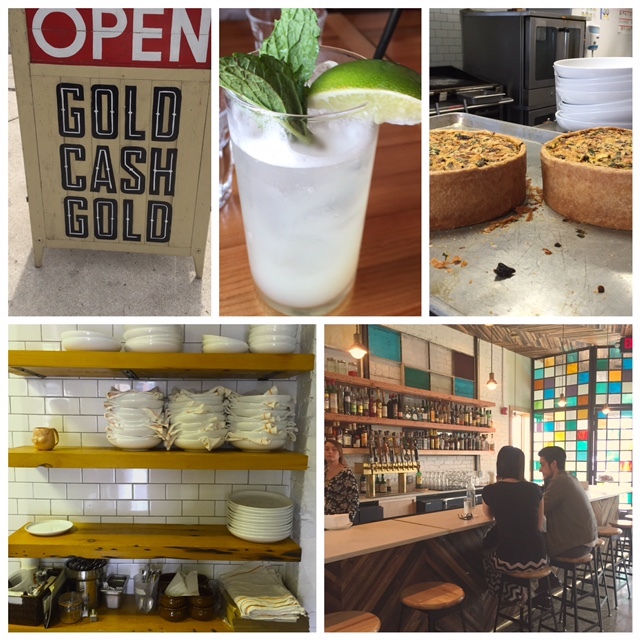 So the owners named the restaurant from the existing signage outside — Gold Cash Gold. From the moment you walk through the stained glass door, the ambiance is inviting. The food was delicious and affordable. Many of the ingredients come from local farms. If you are in Detroit, try this restaurant. It’s worth the wait in gold.